Man Joining A Group Of People Handshake PowerPoint Templates And PowerPoint Themes 1012-"Microsoft Powerpoint Templates and Background with man joining circle"-Man Joining A Group Of People Handshake PowerPoint Templates And PowerPoint Themes 1012-This PowerPoint template can be used for presentations relating to-"Man joining circle, teamwork, leadership, handshake, business, success" Audiences demand excitement. 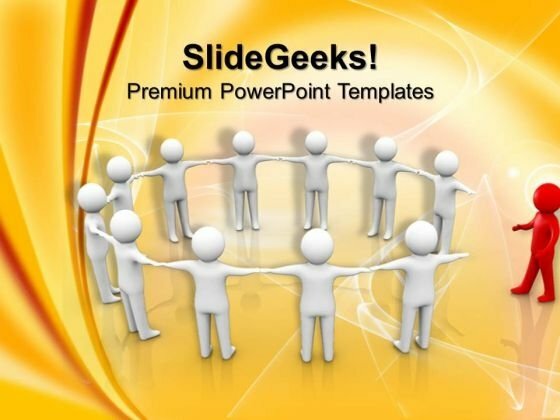 Give them a full dose and more with our Man Joining A Group Of People Handshake PowerPoint Templates And PowerPoint Themes 1012. Measure your team's success with our Man Joining A Group Of People Handshake PowerPoint Templates And PowerPoint Themes 1012. You will be at the top of your game.